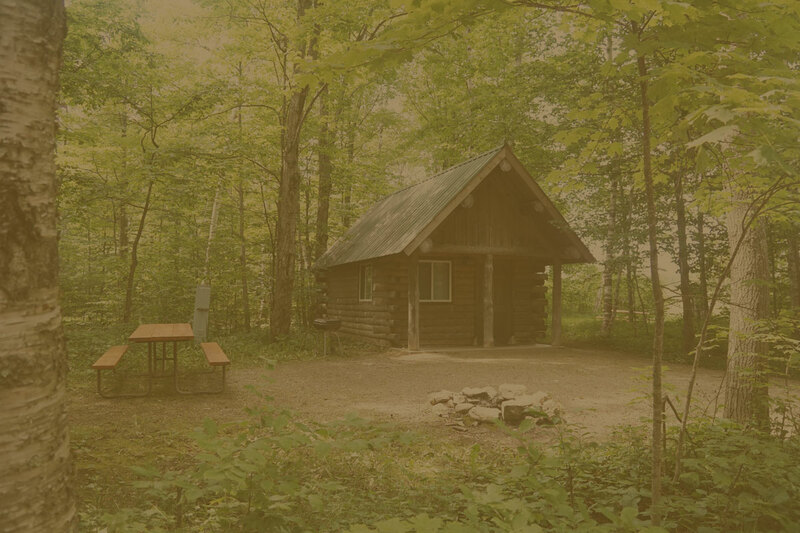 We offer basic tent campsites, electric and water campsites, large group site, horse-friendly sites, 8 basic cabins, 2 deluxe cabins, and one premium cabin. 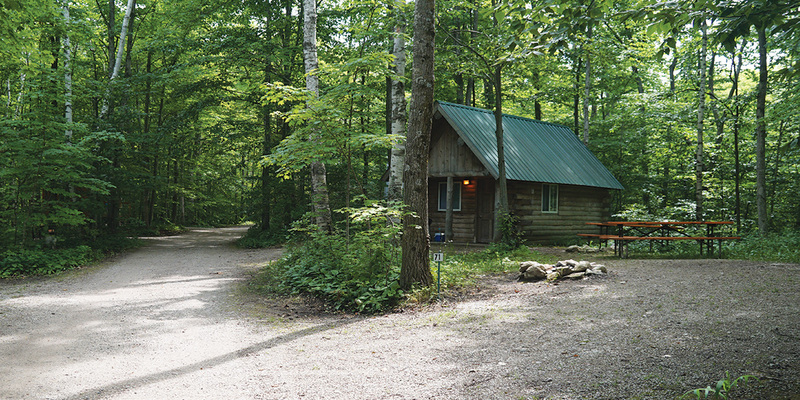 All cabins are camping cabins in which campers are to provide their own linens, towels, and cooking/eating utensils. 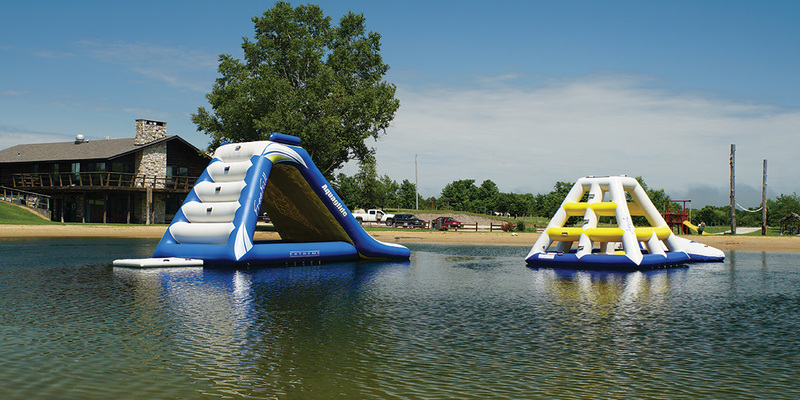 In the heart of the campground, there is a recreational area with a large swimming pond with inflatable water toys surrounded by a sandy beach. 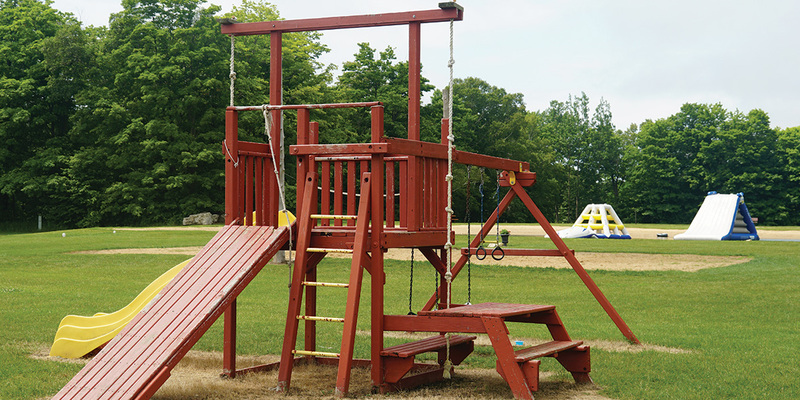 There is also a playground area, sand volleyball court, and a mini-golf course. 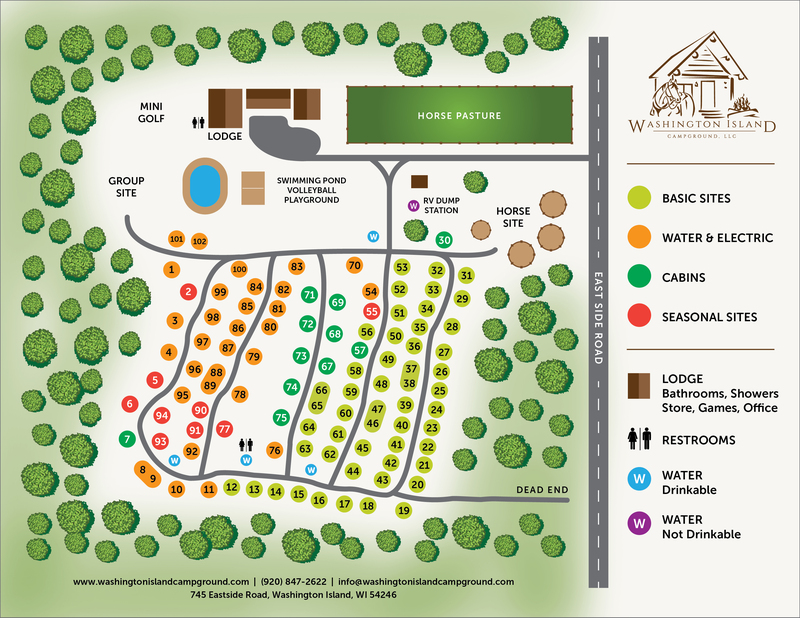 Take a virtual tour of the campground! 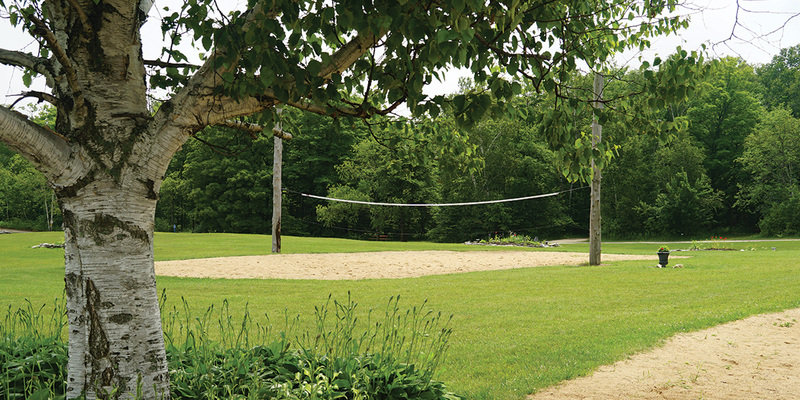 Campsite prices (except group site) are based on 2 adults and any children are free. 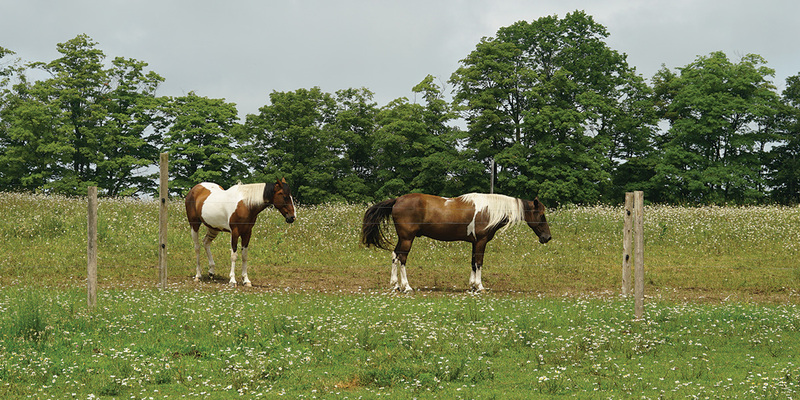 Additional adults are $5/night plus tax for a maximum number of 4 adults total per site. 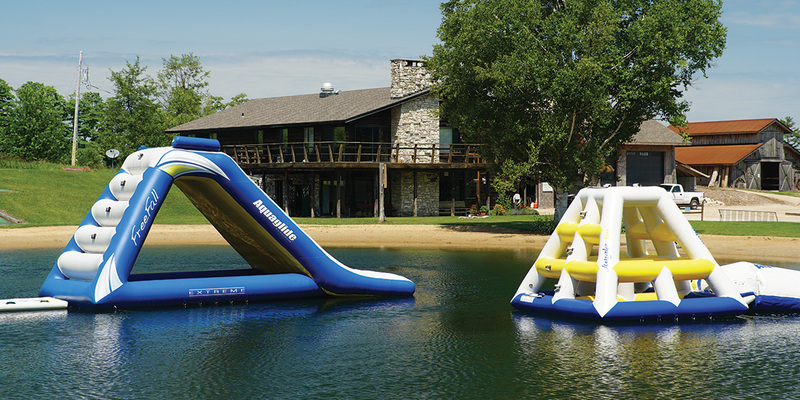 CABIN PRICES ARE BASED ON 2 ADULTS AND ANY CHILDREN ARE FREE. 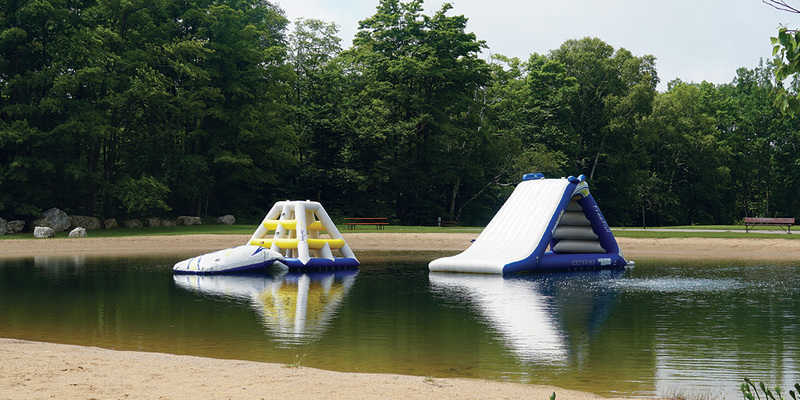 ADDITIONAL ADULTS ARE $7.50/NIGHT PLUS TAX FOR A MAXIMUM NUMBER OF 4 ADULTS TOTAL PER CABIN. 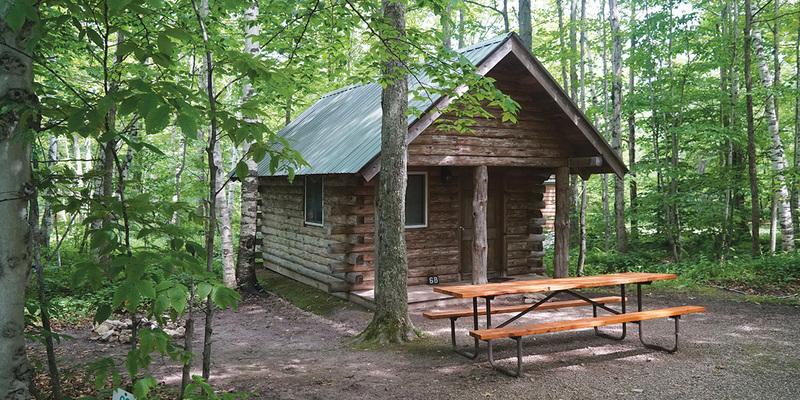 CAMPERS ARE TO PROVIDE THEIR OWN LINENS AND COOKING UTENSILS FOR ALL CABINS. 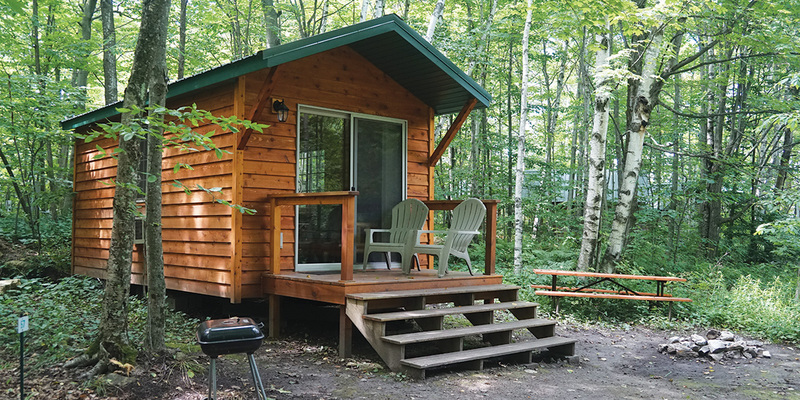 Pets in the pet-friendly basic cabins are an additional $10/night fee. Sink, 2 Doubles, 2 Twins, Microwave, Mini Fridge, Charcoal Grill. Some units pet-friendly. One night stays have an additional $10 charge. 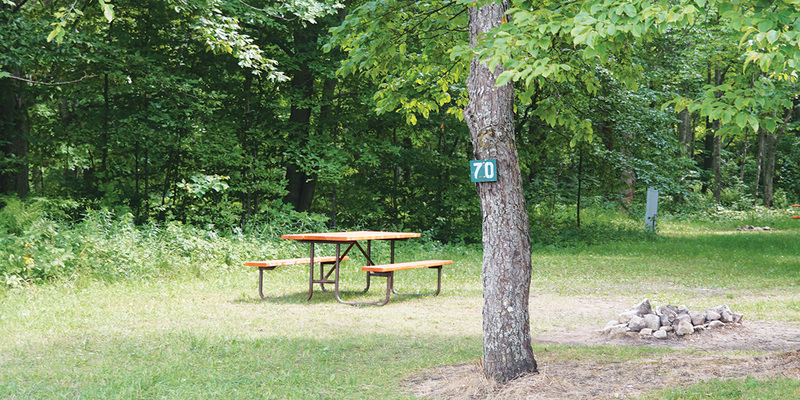 The campground is open May 15th – October 15th. Yes! We just ask that you keep your furry friends on a leash, picked up after, and kept out of our swimming pond. 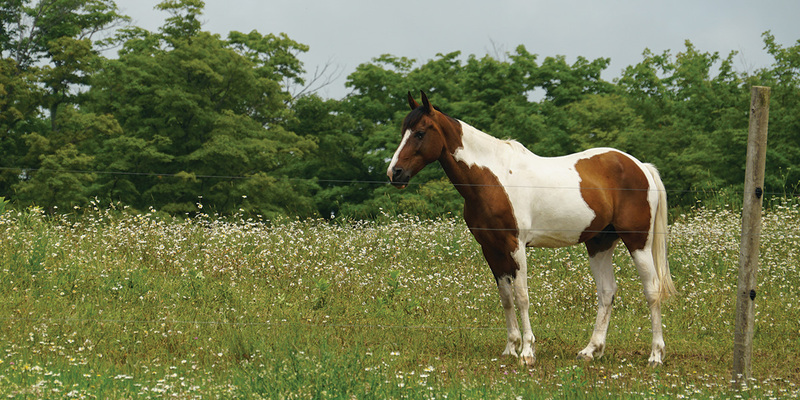 We do allow pets in only our basic cabins for an extra fee. Do you sell firewood and ice? Yes, we have firewood and ice for sale at the campground, as well as other camping necessities. Cancellations need to be made 2 weeks or more prior to your arrival, in which your deposit will be refunded (minus any online booking fees). Any cancellations made less than 2 weeks will forfeit any fees paid. 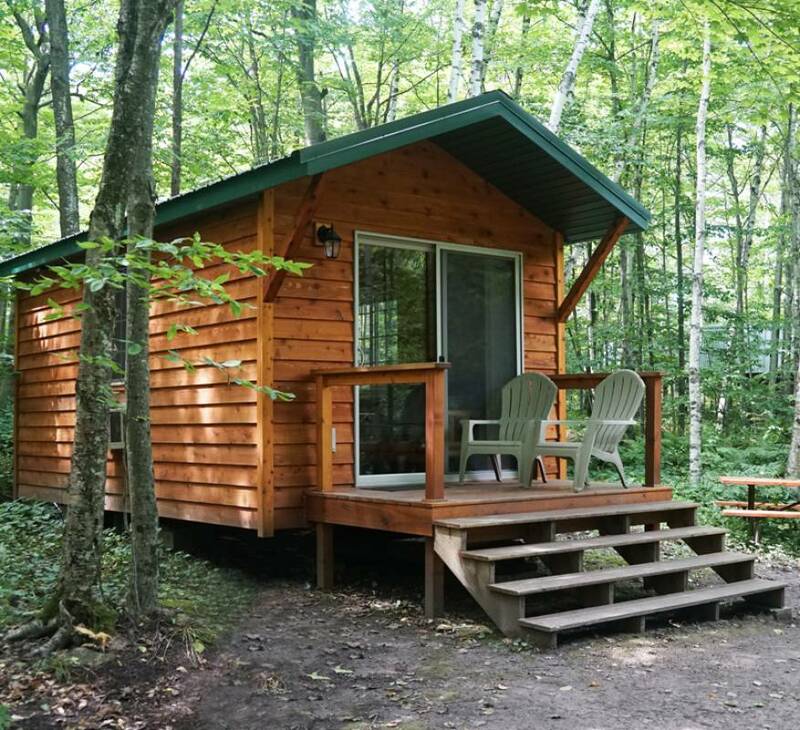 Visit Door County's only year-round island community and the largest of Door County's thirty islands with over 35 beautiful square miles and over 100 miles of roads to explore and enjoy. Your journey to Washington Island begins as you drive or walk onto the ferry and enjoy a scenic five mile route over crystal blue waters with views of the surrounding islands rocky shores, lush forests, and the serenity that you're seeking in your every day life. You're on ``Island Time`` now and your hectic pace becomes a distant memory and meaningful ``enjoyment`` begins. 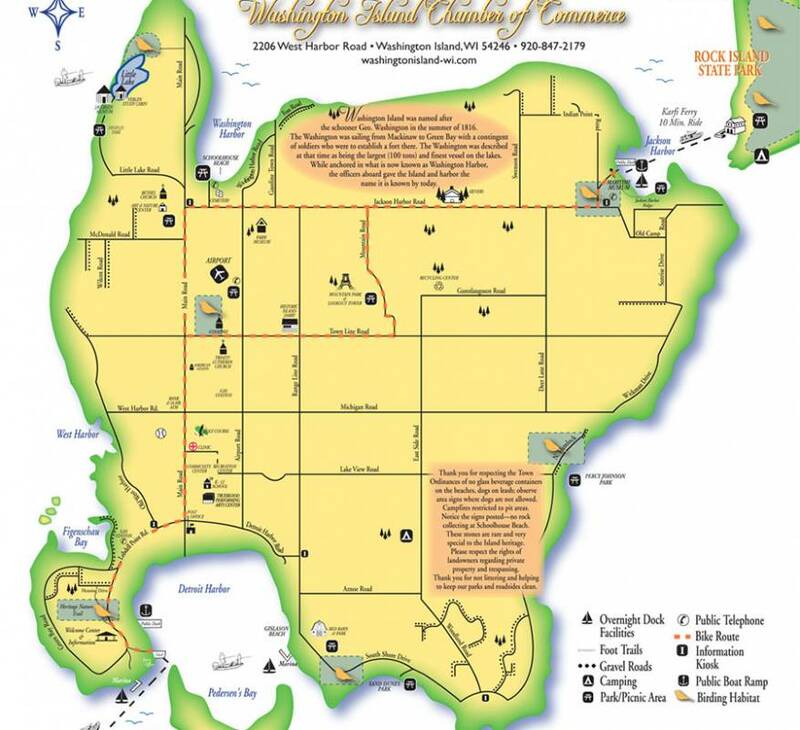 Check out the Washington Island Chamber of Commerce website to view the ferry schedule, discover local attractions and plan your stay on the island. Please reach out to us anytime, and we’ll get back to you as soon as we can. Visit Door County’s only year-round island community and the largest of Door County’s thirty island, with over 35 beautiful square miles and over 100 miles of roads to explore and enjoy.